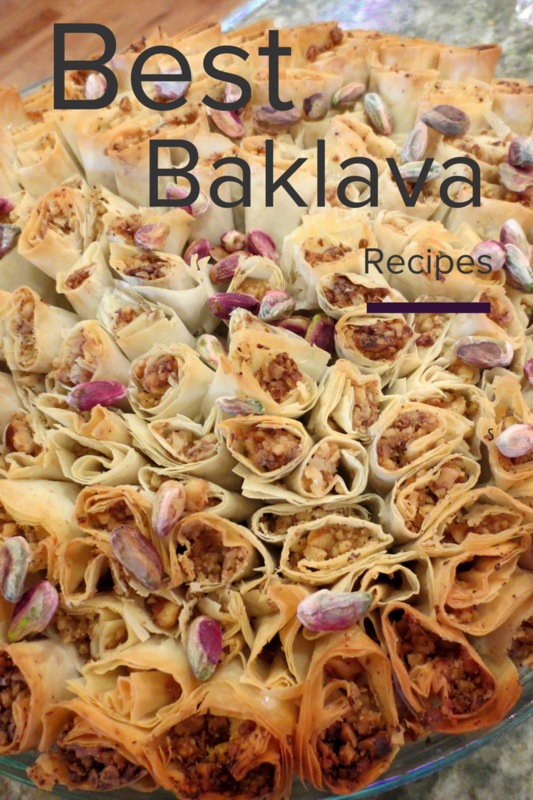 Baklava is a sweet and sticky dessert made of layers of phyllo doufh that are filled with chopped nuts, held together by syrup or honey. 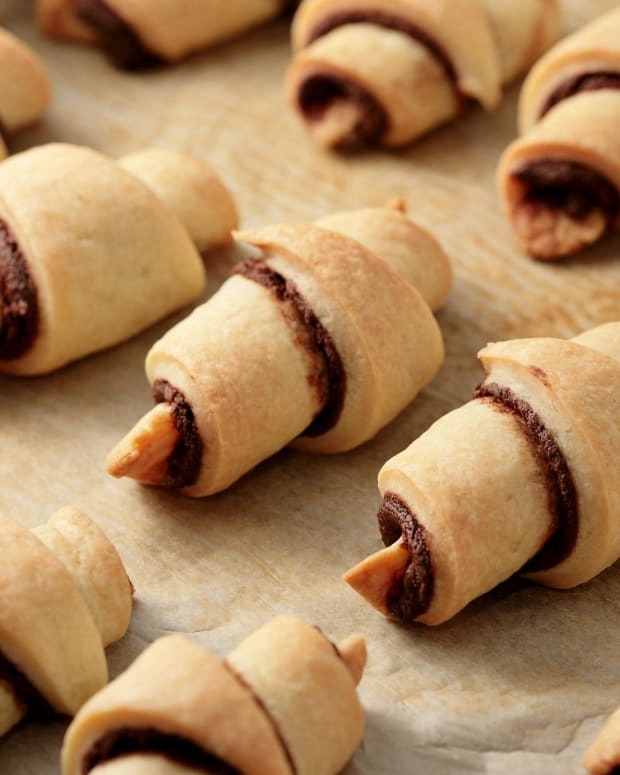 Originating in the Middle East (think Ottoman Empire), many cultures have their own proud versions of the dessert, and Sephardic Jews tend to eat it for Rosh Hashana or Purim, but is a delicious treat for any holiday or Shabbat. 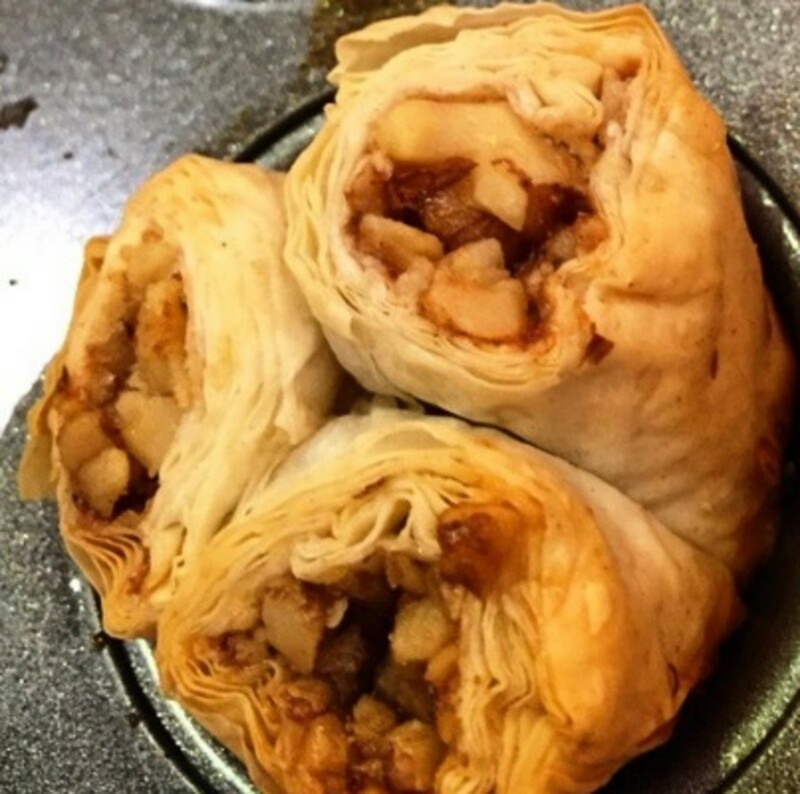 But don&apos;t be afraid to get creative with your baklava! 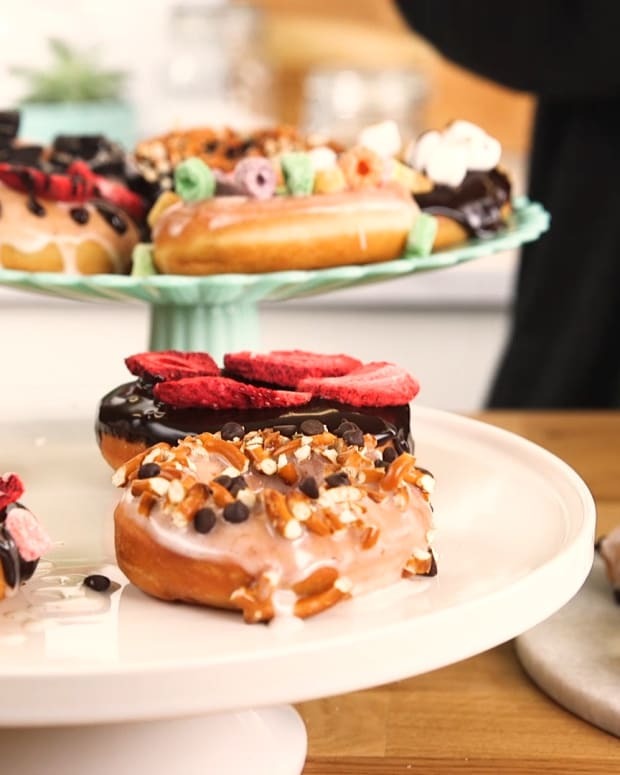 You can add different types of nuts, chocolate, or even cheese in between the layers of dough. 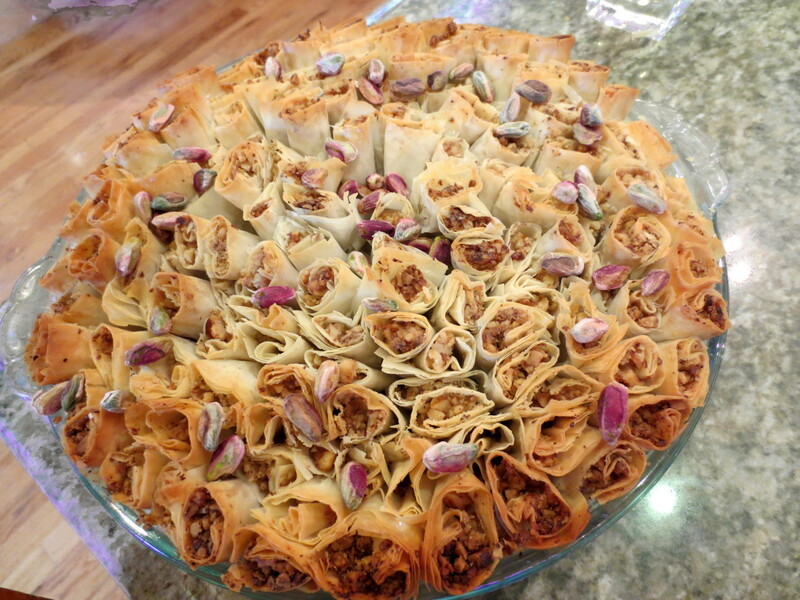 Scroll down for some fun and modern baklava recipes, but first- here is a tutorial on how to make a gorgeous bouquet of BAKLAVA BITES which are sure to impress a crowd! Prepare the filling as directed in the recipe. 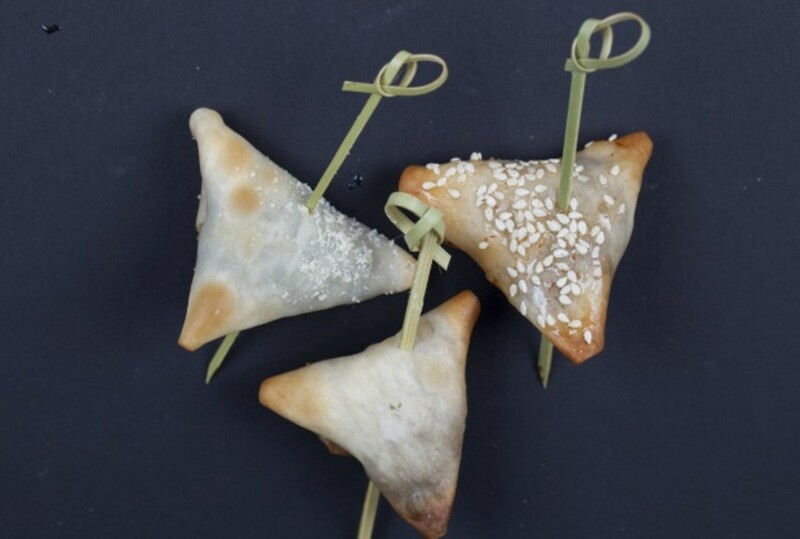 Remove the phyllo dough from its packaging, and place a clean damp cloth on top to keep them from drying out. Place one sheet horizontally on your work surface, and brush all over with melted oil. Place another sheet on top and brush with oil. 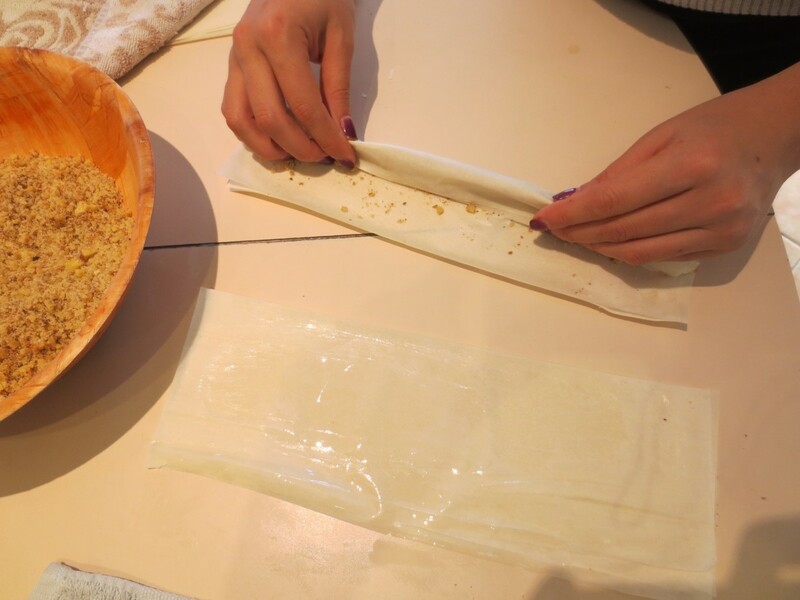 Cut down the middle of the phyllo dough horizontally. Spoon 3 tablespoons of the walnut mixture into a line, 1/2-inch up from the seam. 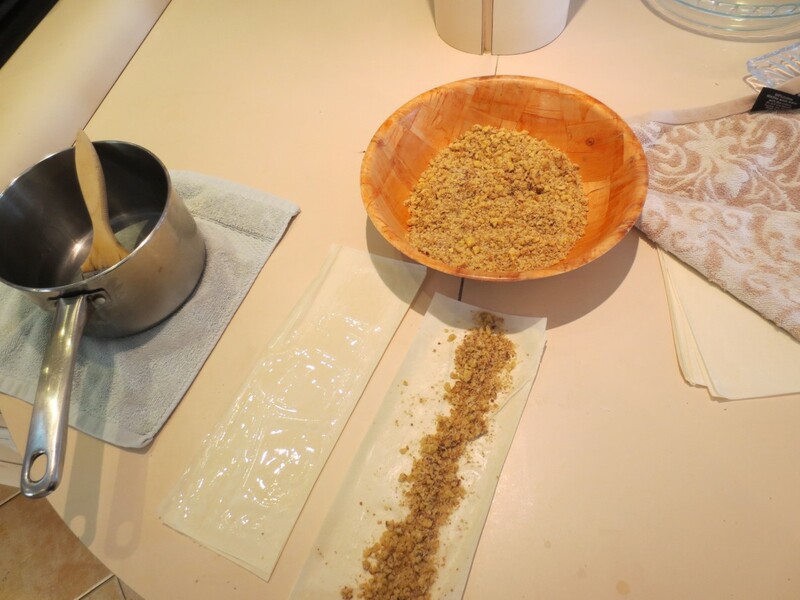 Roll the dough over the walnuts and continue rolling into a long log. Brush the logs again and set aside. Repeat this process until all of the walnut filling is used up. Using a sharp knife, cut the arranged logs into bite-sized fingers, about 2.5 inches long. 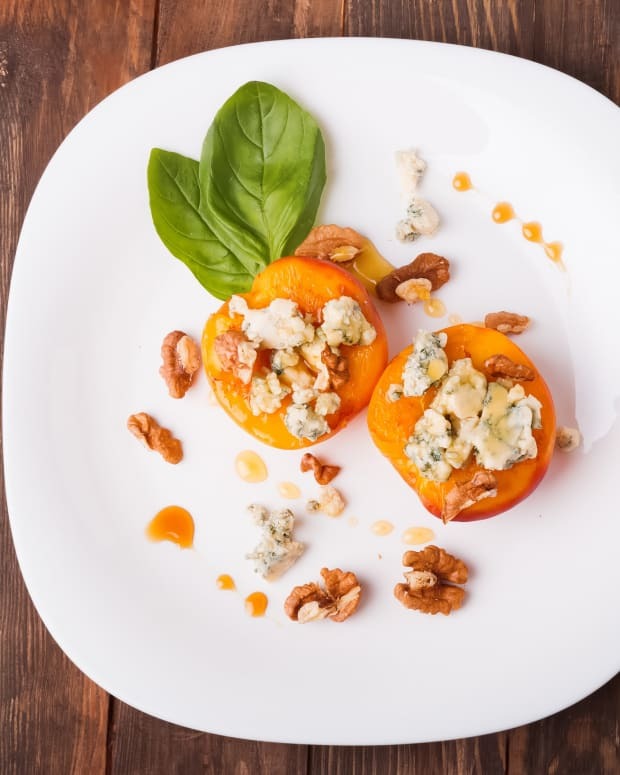 Place 3 pieces in a mini muffin tin or a pie dish for a more family style approach. Bake for 40-45 minutes, until crisp and golden brown. 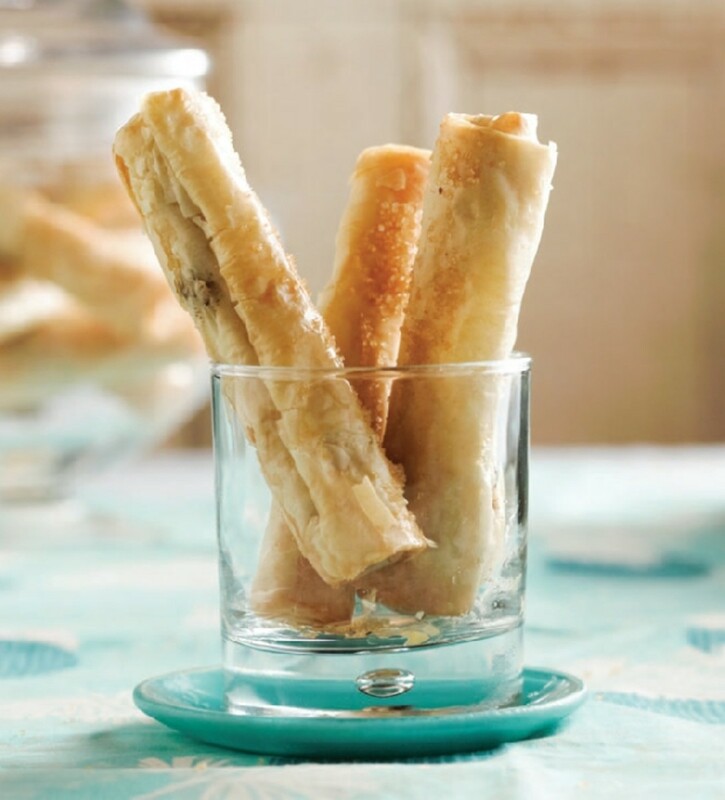 Variation: After rolling the logs, cut them into 1-2 inch mini rolls and bake in a cupcake tin. Remove from the oven, and immediately pour the syrup into the cracks between the rows of baklava, and all around the edges. Sprinkle toasted chopped pistachios all over the top. 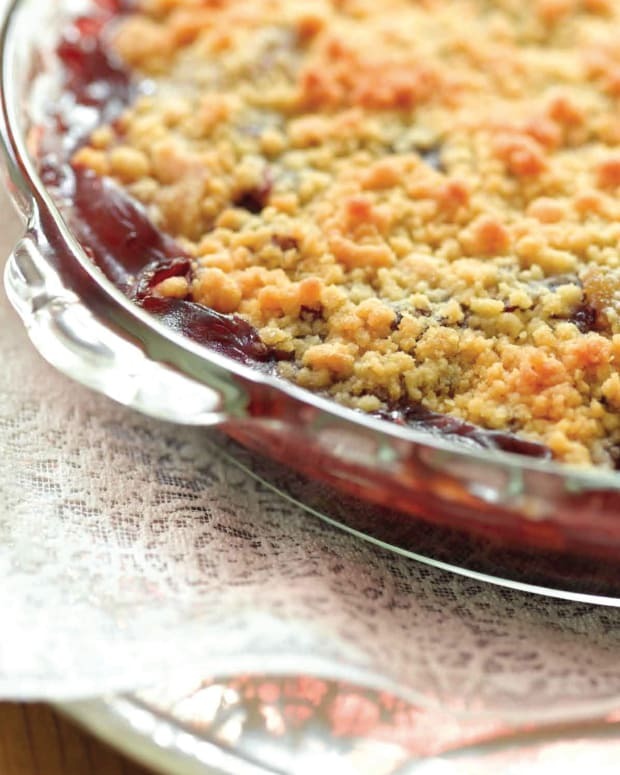 Serve hot from the oven, or at room temperature. 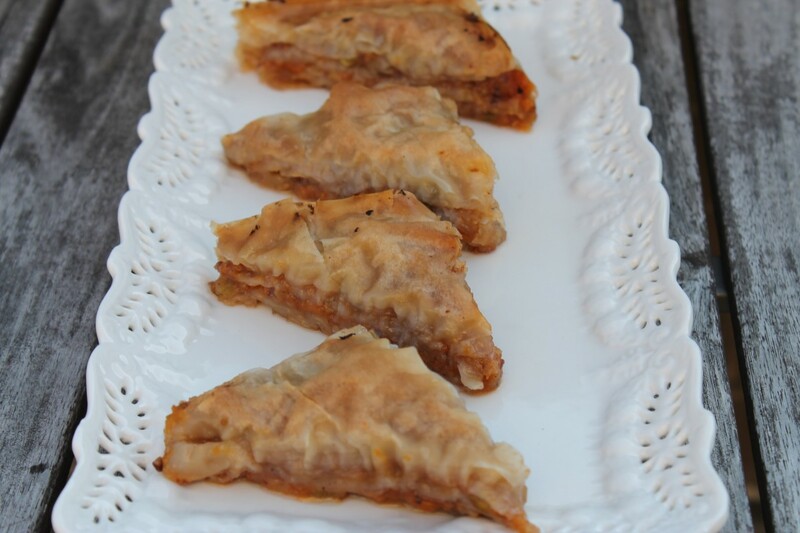 A middle-eastern classic known throughout the world, this cinch of a Baklava beats anything you can get at the store. 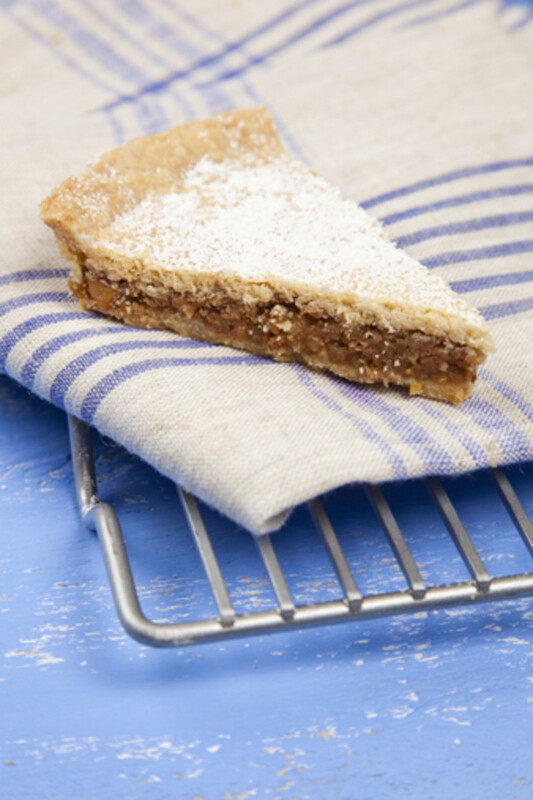 This dessert tastes like baklava in a pie form. 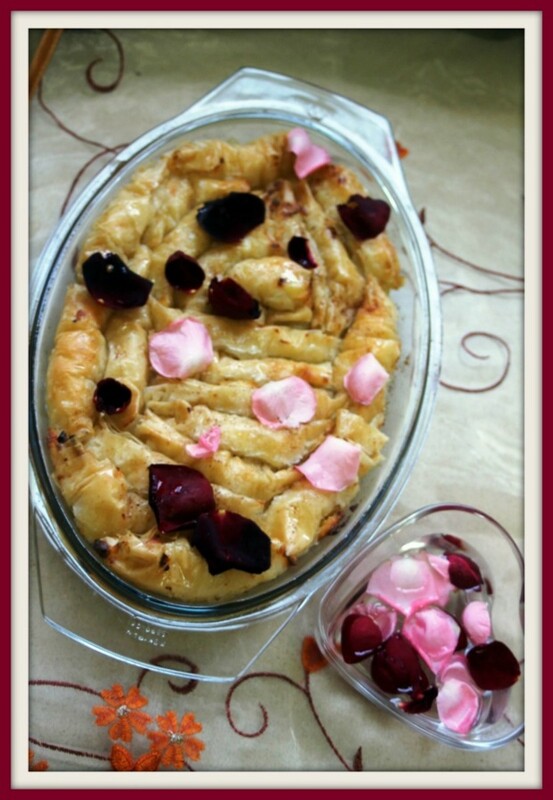 (You can also use packaged frozen pareve pastry dough.) Use a 9-inch tartpan with a removable bottom. 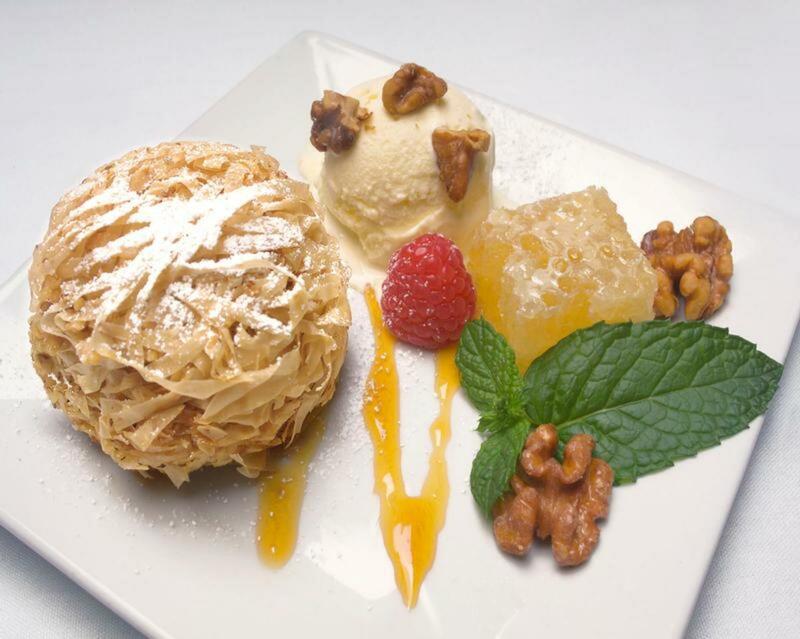 This modern version of traditional baklava features mashed sweet potatoes among the layers of sugared nuts and flaky phyllo dough, making it a special and unique dessert that is sure to impress your guests. 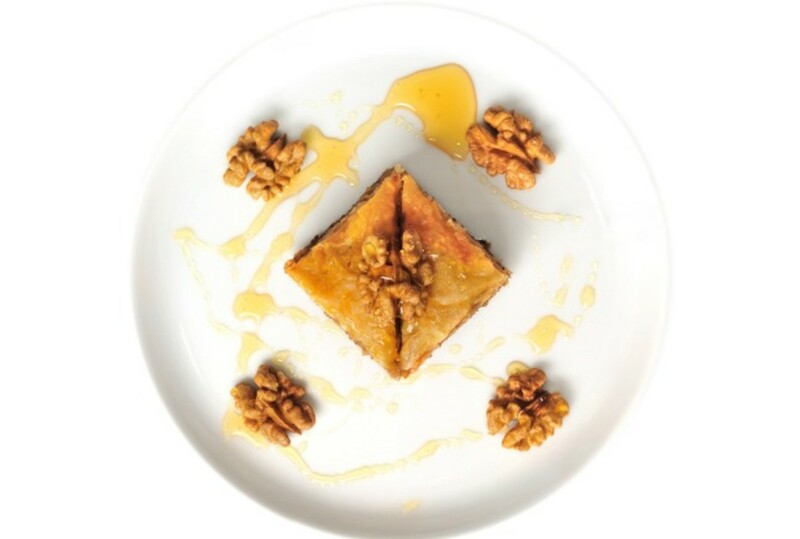 This Honey Walnut Baklava Truffle is a twist on traditional baklava, with the same sweet taste, but also a modern presentation. The Turkish/Ottoman Empire reigned over Romania and many Romanian dishes were influenced by it. 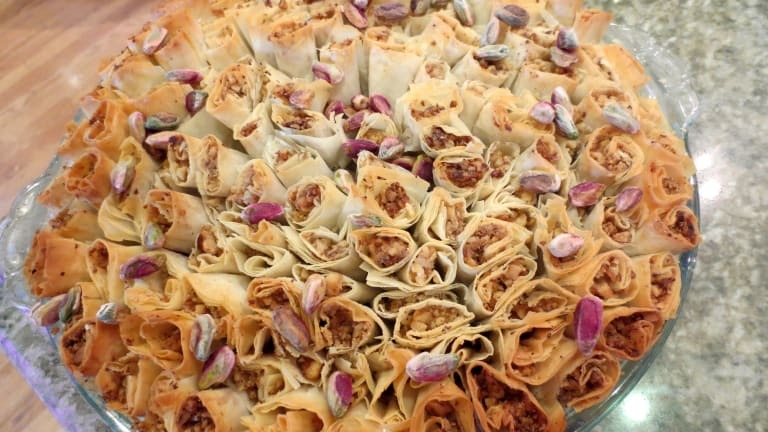 Sarailie is a type of Baklava filled with nuts and soaked in sugar syrup and honey with a pinch of rose water (or orange Blossom water). 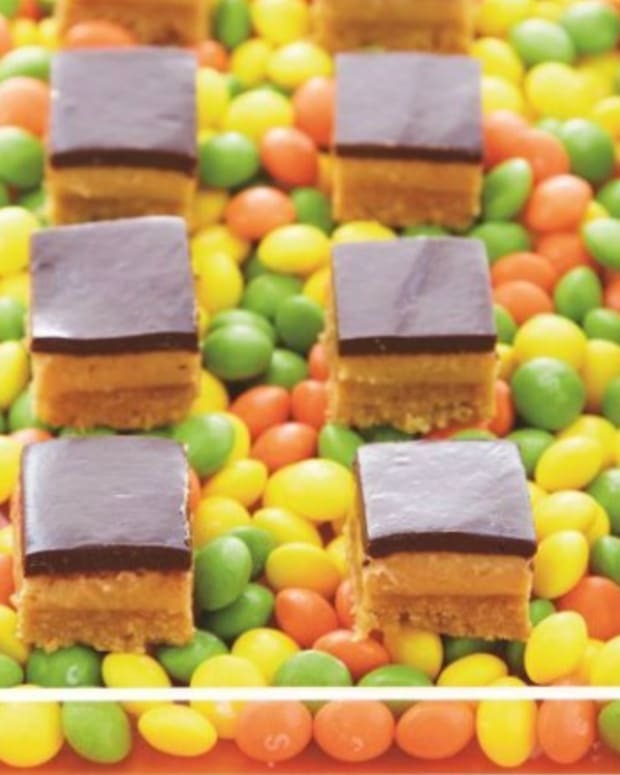 This time – I filled it with a cheese filling – very similar to the ingredients of the Papanash patties, and made it a dairy sweet for Shavuot. The dairy version comes out softer and moister than the original nut Sarailie.